Taste of Santa Fe was the annual fundraiser for the New Mexico History Museum, apparently a pretty small event that had hibernated over the recent years. 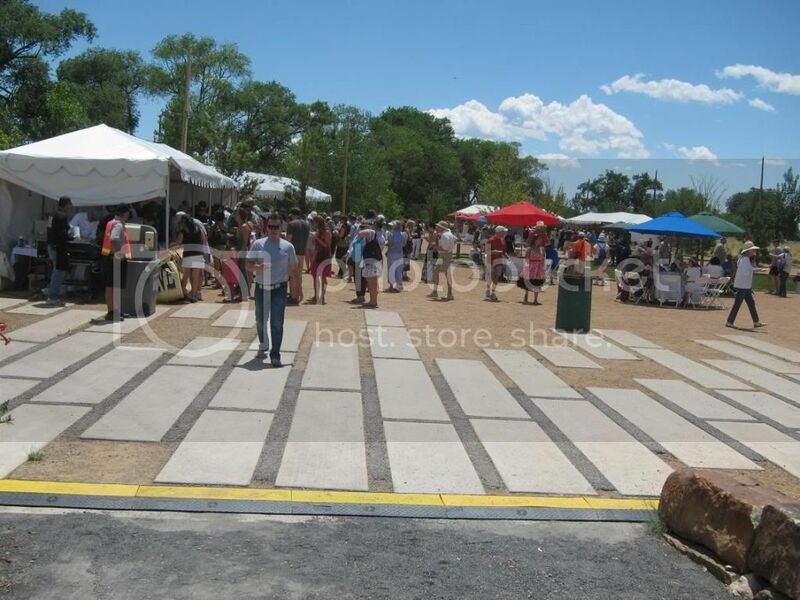 This year, though, they relaunched Taste of Santa Fe bigger than ever, gearing it up to be one of the premier food events in the area. For that same reason, they invited Angeleno bloggers who are willing to go to Santa Fe to join them for the event (Disclaimer: we received free tickets to the events and lodging, but paid for own transport). 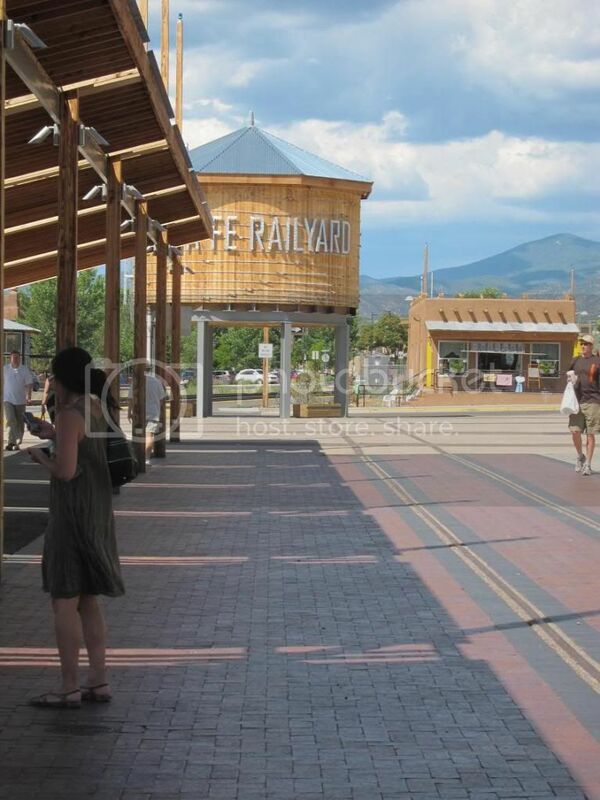 The main event took place at the Santa Fe Railyard Park on July 17. It was a hot afternoon in Santa Fe (about 94 degrees! ), and having been spoiled in Southern California, we had a hard time bearing with the sun and the heat. That's why I immediately veered towards to gelato booth and got the Blackberry Cabernet Sorbetto from O-Gelato, which had just opened on July 3. 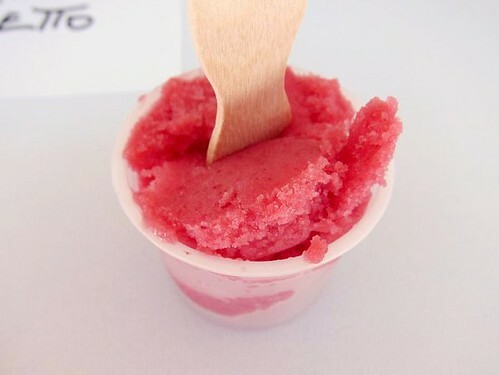 Their other flavors included Ispaha, made with Parisian rosewater and raspberry, and Harry's Peach Bellini. 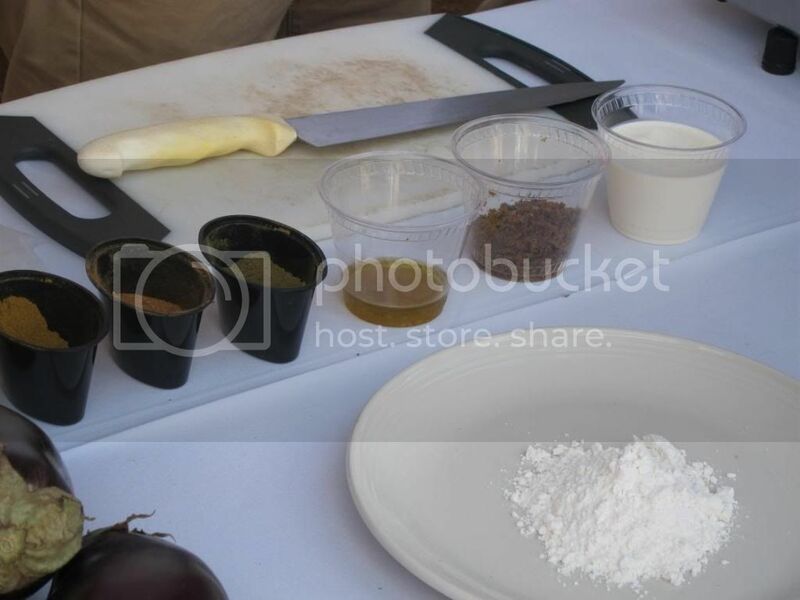 Mole and taquitos were abound, but there were more than New Mexican cuisine to be found at Taste of Santa Fe, although of course many incorporate ingredients and influences from the area. 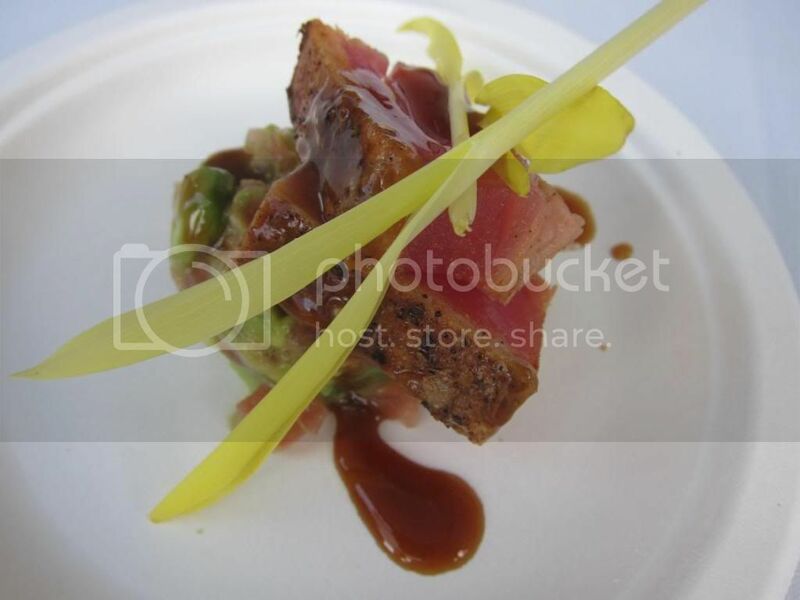 The resorts and fine dining restaurants participated with offerings such as seared tuna. A non-VIP ticket to Taste of Santa Fe only gave us one drink, which was unfortunate considering the weather. I had to choose carefully. 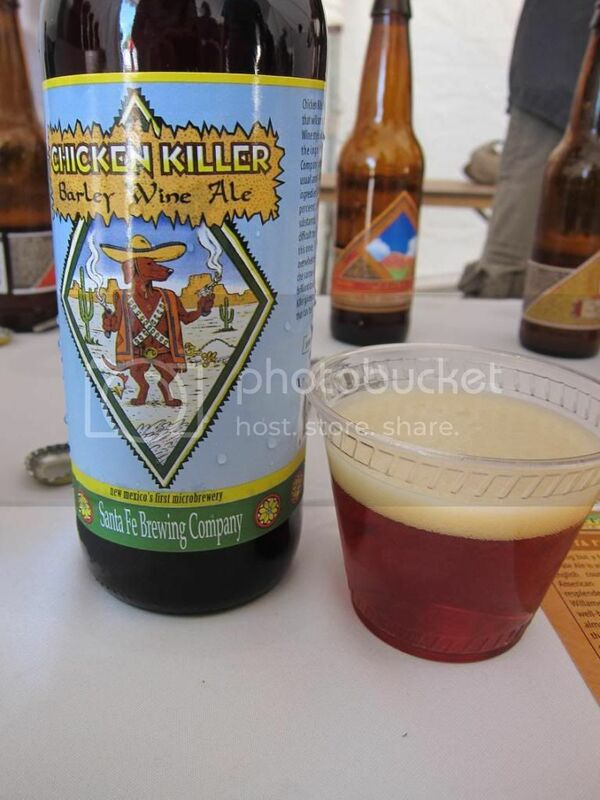 Since the wines weren't local and I tried many of the beers from the Santa Fe Brewing Co., I opted for the Chicken Killer Barley Wine Ale (yes, partly due to its awesome name). This was fairly balanced with a bit of both maltiness and hop without being too bitter for me. You can buy fork up cash for more drinks, both alcoholic and nonalcoholic, though we didn't do so that day. A sample of the homemade lemonade from Flying Star Cafe was such a lifesaver in the sweltering heat, I even stopped by the actual cafe to buy a full glass. 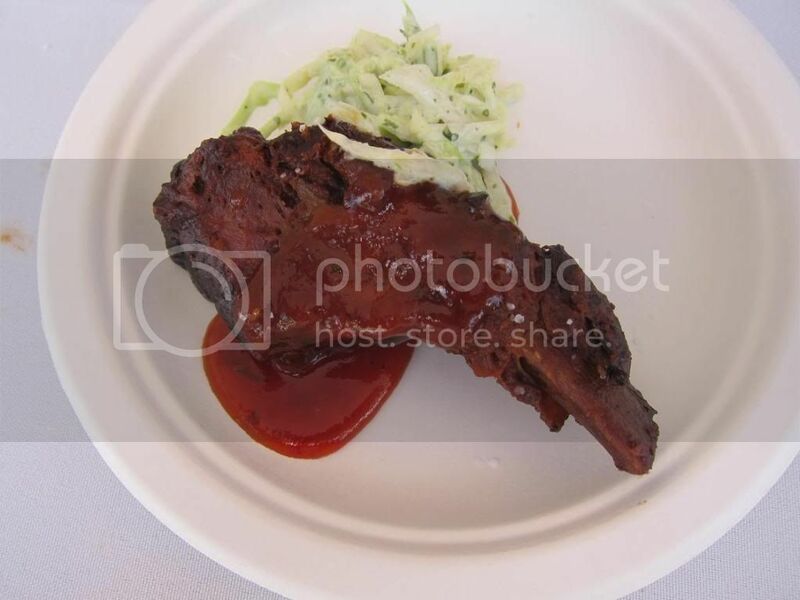 One of my favorite tastes that day was this BBQ ribs with red chile honey glaze and green chile cole slaw from Josh's Barbecue. 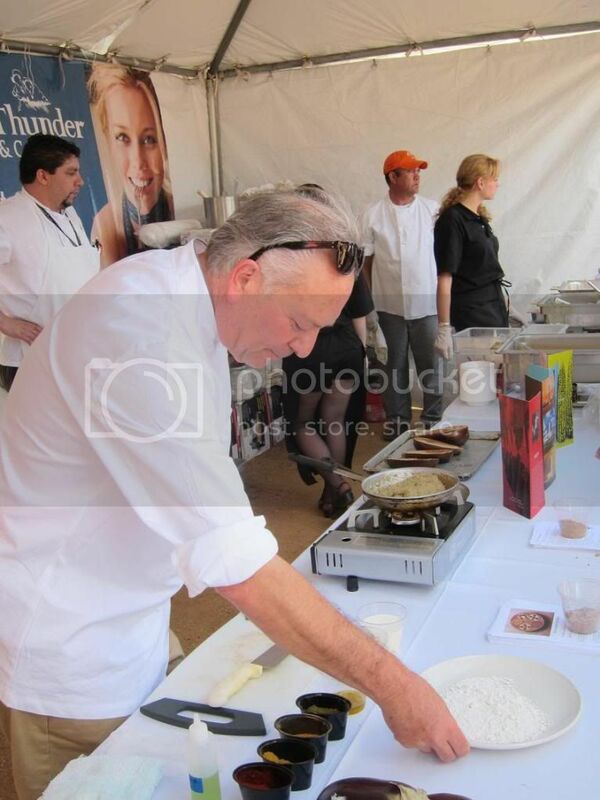 This year's event brought Chef John Sedlar of Rivera Restaurant in LA for a cooking demonstration. Chef Sedlar grew up in Santa Fe and has also given us some restaurant recommendations for the area. 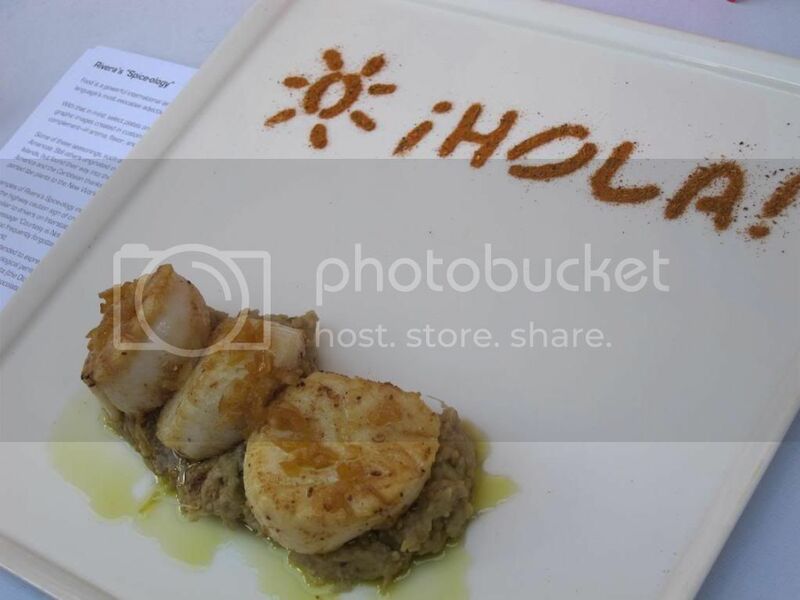 He prepared a dish called Scallops Arabesque which calls for Vadouvan, an Indian spice blend. Chef Sedlar suggests using grapeseed oil since it can go to high temperature and doesn't burn. Since Chef Sedlar had also made this dish for a Los Angeles Mag's event, you can find the full recipe for it here. Chile, both red and green, can be found everywhere, including on your kettle corn. 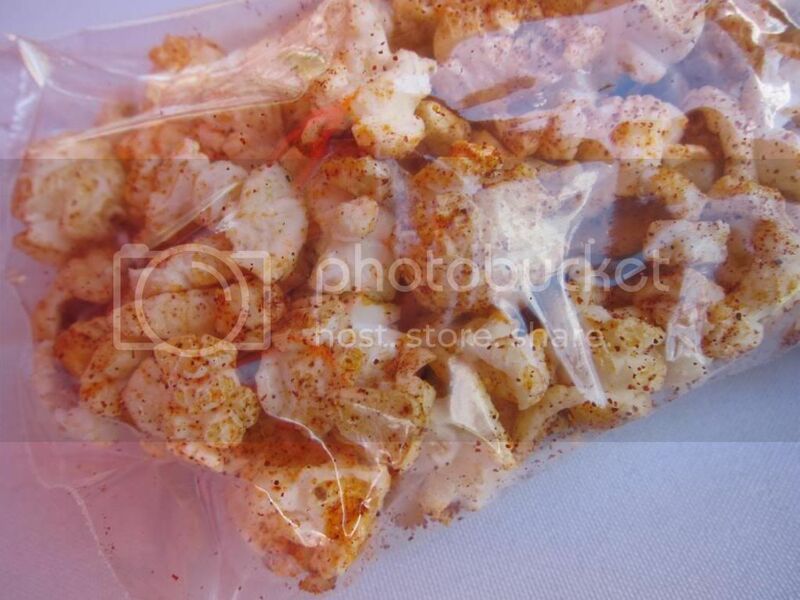 Kernel's Kettle Corn which normally parks its cart on the Plaza, offers three flavors: original, red chile, and green chile. Both sweet and spicy, these were actually pretty addictive. Can you see the red chili powder?